Hartzel | Flickr - Photo Sharing! 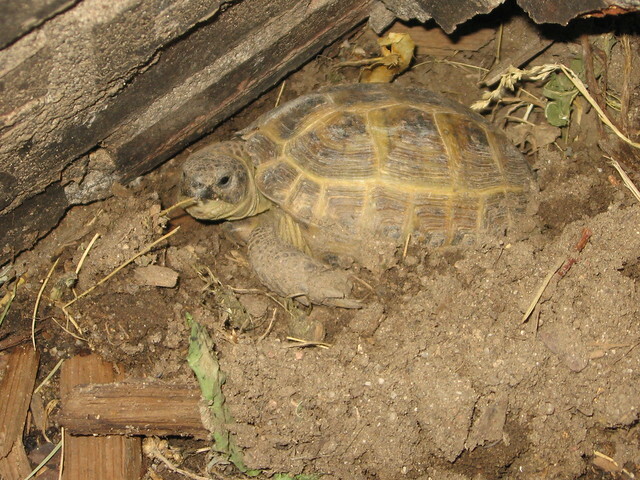 Hartzel is my Russian Tortoise (not a turtle). He's only a year old, and should live to be anywhere from 50 to 100 years old if everything goes well for him. Right now we have him outside in an enclosure I built just for him.